My sister and I recently started watching Downton Abbey together (this is my second time going through the series and her first time), and I've completely fallen in love with the clothing from the later war years. It's both elegant and practical at the same time, which really appeals to me. I've been slowly coming around to the idea of working in this era, and watching Downton Abbey was the the final straw to break me. 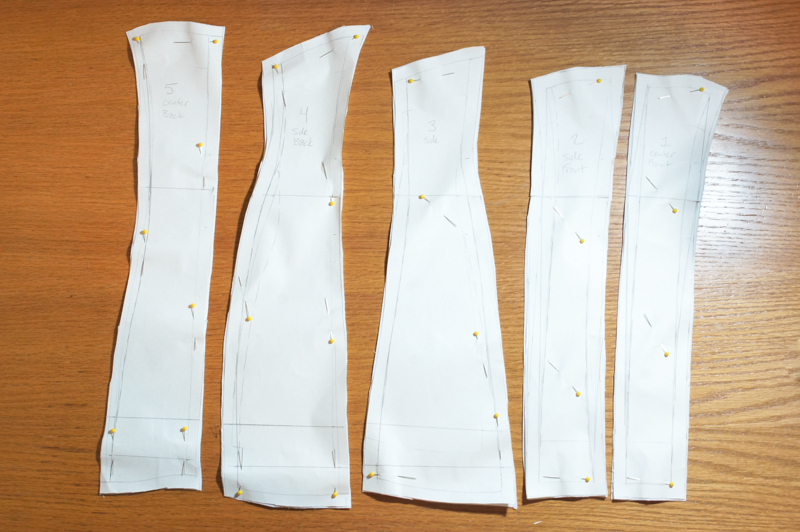 This weekend I started working on a new corset for the era. The pattern I'm using is from Bridges of the Body, and it's been a great pattern. I had some difficulty with getting it to the right scale (as I do every time I try to scale up a pattern), but I was able to get it close enough and made a few adjustments once I had it printed out. The mock-up came together quickly and surprisingly easily. My first attempt I was completely over thinking it and tried changing some of the dimensions because the original on the pattern were just slightly smaller than my usual corseted measurements, but that only ruined the lines and ended up being too big anyways. 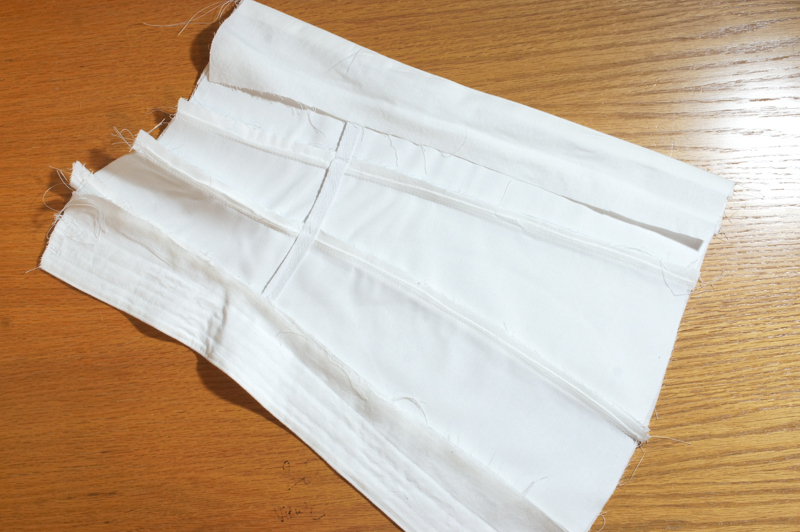 I ended up adding seam allowance to the original pattern and it fit perfectly, despite being printed slightly smaller than it was supposed to be. Go figure. Corsets from this era are, to me at least, a little weird. 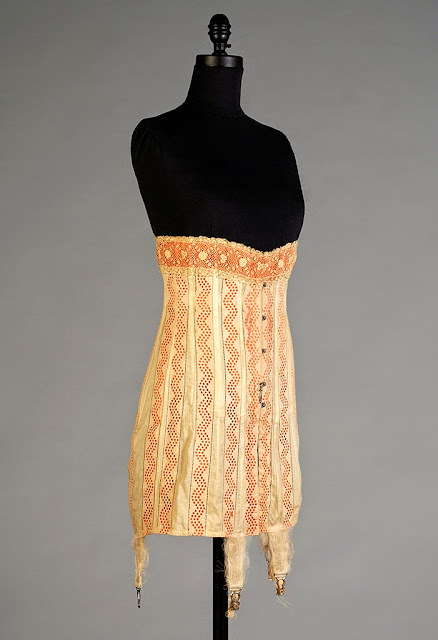 The silhouette of the period was so long and slender, with far less emphasis on the bust and bum than was popular in the early 1900's. 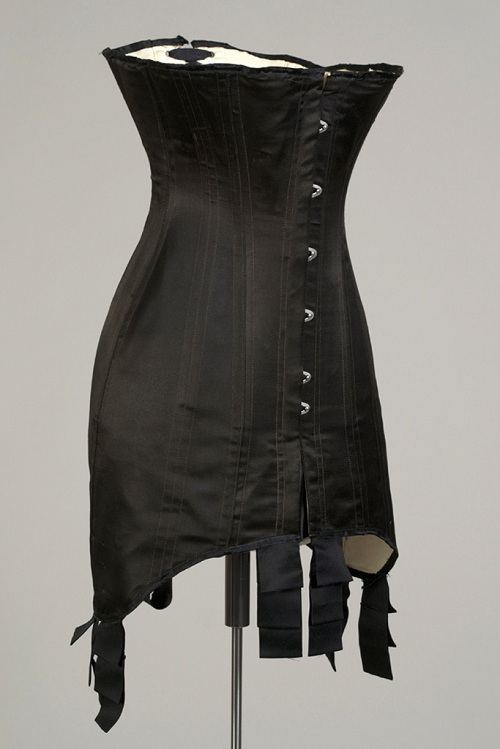 The corsets from this era usually sit with a low bust and extend past the hips and are *so* long. But it's slowly growing on me. 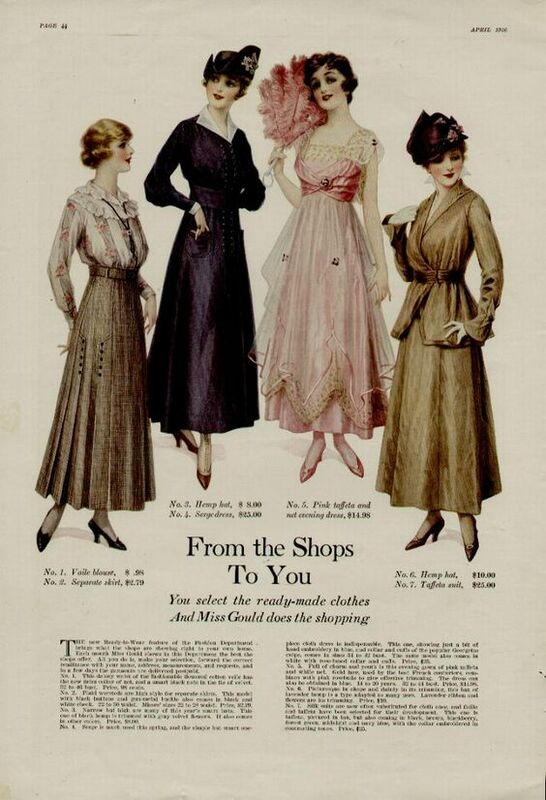 In case you're unfamiliar with the era, I thought I'd leave you off with some pretty 1910's inspiration. You can check out my Pinterest board for more WWI era goodies too. Lace Tuckers, or What Exactly is That Thing?